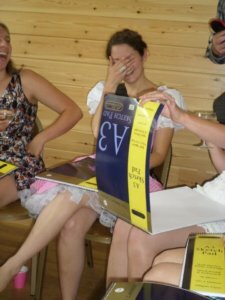 Here’s my story of how I arranged a hen weekend for my best friend Jess with 2 other bridesmaids. I am Jess’s college friend and she met the others at university. I knew them reasonably well from the few times I’d been to visit her. 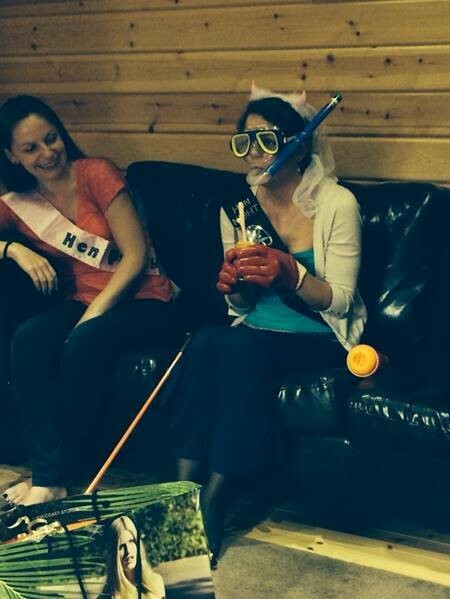 Our mission was to organise a ‘Top Secret Hen Weekend’ as a surprise for her! Step 1: We made a list of the hen group names and their contact details (phone number and email address) and the dates Jess was available. Jess’s one request was to make sure the weekend wasn’t too far away as she wanted her “husband to be” cousins to join us. Turns out they didn’t come! Step 2: We asked the key people like the bridesmaids if they were available on Jess’s preferred dates. The list of 6 weekends went down to 4! Those 4 dates were then communicated to the rest of the hens and based on the largest numbers; our July weekend was chosen. Step 3: Next it was all about the location & accommodation. We wanted to be in the West Country and near a city for a night out. Chatting with Acacia Cottages helped us find the perfect property near Bath which accommodated all of us within what we felt was a good budget. We chose Streamside, Hot Tub and Pool as it looked great for our group with a heated pool, hot tubs, lots of outdoor space and a BBQ. The aim of the meeting was to bash out the detail. At first, working together was tricky as all 3 of us had opinions but as time went on we found compromises! We began by planning how the weekend would play out. This included a BBQ & games on the Friday and Wacky Countryside Games, a life drawing lesson and return transfers for dinner in Bath for a night out on the Saturday. On Sunday we decided to chill in the am followed by a visit to Bath Spa for those that wanted to. 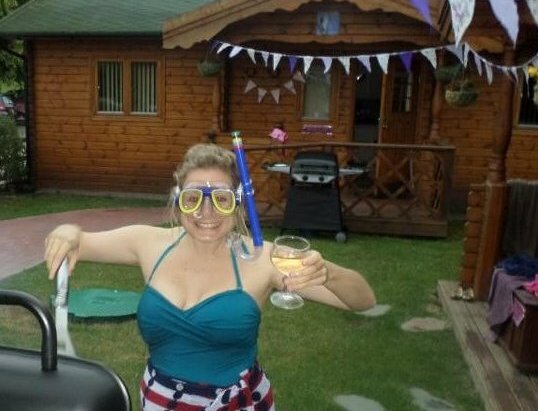 Jess loved fancy dress so we included it for the Saturday Wacky Countryside Games. We also planned little touches such as a memory book, personal decorations and elements to make her fret! We split the various organising jobs so we could get on and do our part for the weekend without having to check back with each other. I took on the tasks of communicating with the hens, keeping them updated on what was going on, what they needed to bring/do for the hen weekend & dealing with the money side. 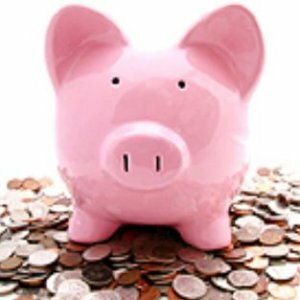 We confirmed the total weekend cost (including money for food and drinks), right from the start with help from Acacia, so everyone knew what was needed. We asked the girls to pay Acacia direct through their online payment system which took away any stress of having to pull it all together. People had the choice of paying in one lump sum or in instalments. As we’d booked the weekend quite far in advance paying in instalments made the payment process much more manageable. We asked people to provide us with kitty money straight away so they would commit to coming and to ensure we weren’t out of pocket. It was such a relieve when this was in place as it made everything feel more real and concrete. With it all booked, all we had to do was concentrate on the fun touches to make the weekend special. Before I go any further I have a confession! Jess became aware of the ‘Top Secret Hen Weekend’ location well before we left. I shouldn’t have let her know but she was desperate and knowing what a control freak I am and knowing one day the shoe could be on the other foot I did tell her - but - that was all she got out of me! Before going, I sent everyone all the details of the weekend from Acacia including a kit list, fancy dress themes, address and arranged the logistics of getting everyone there. I picked Jess up on the Friday afternoon. The car was full of balloons which poured out into the carpark; she was a little embarrassed! I made sure she had her kit list ready for the weekend. The kit list comprised of random items like Craig’s (the grooms) underwear, a dog lead, torch, snorkel and bowler hat. She didn’t need any of them but it added some nervous excitement for her for the weekend! Of course, any item from the list she forgot, she got a forfeit for! When we arrived at the cottage, it looked amazing as the other bridesmaids had set it up with personalised pictures, food and drinks. Jess was so impressed! After quickly unpacking we joined the rest of the group chatting, drinking, eating and getting to know each other. The BBQ, hot tub & pool were a great way to break the ice; it helped that the weather was so good as it created a lovely, chilled evening. When it got dark we went inside and played party games. We shared stories about how we knew Jess which was a bit late as we’d all been talking for most of the evening anyway! Everyone bought something wrapped up that reminded us of Jess and she guessed who each item was from and the story behind it. She was really reluctant to tell us the hysterical story behind the picture of a cave in Cornwall! We stayed up to the early hours. After a leisurely breakfast, we handed Jess her Little Bo Peep fancy dress outfit whilst we all dressed-up as her farm animals; it was hysterical. Then it was off to Wacky Countryside games receiving some honks and dodgy looks at traffic lights! This activity bought huge amounts of laughter! Our instructor split us into two teams and we competed against each other. The first game was the human style skittle games. It was so funny when the bride accidentally hit one of the hens in the face when knocking her off; this was captured on video & in slow mo it was fantastic! We took part in other games, welly wanging, pub skittles, tyre roll, to name but a few. Jess loved it and every time I looked at her she had a smile on her face. Afterwards, we went back to the cottage for a chilled picnic style lunch. I could see Jess becoming a bit anxious as a few of us kept disappearing to set the room up for the surprise Life drawing class. The tutor, was brilliant getting everyone in the room leaving Jess, blindfolded outside on a bench by herself to fret for 5 minutes. Mean I know but so worth it! When ready the instructor bought her into the function room, sat her down and uncovered her eyes so she could see what was going on. Her face was hilarious! The lesson lasted an hour and was brilliant. It was then chilling time before the night out. We sat around the garden having a few drinks and singing with one hen playing her ukulele! The minibus arrived to take us to Bath for our night out. We went to the Cosy Club for dinner followed by Po Na Na’s for a dance. Some of the group didn’t want to stay out too late so we booked 2 taxis. We stayed and danced till 2am, as Jess didn’t want to go home! Sunday morning was ‘pyjama’ morning with a late breakfast. It was so good to have the space to chill out retelling all the different stories. We presented Jess with a memory book which people filled over the weekend. All in all, Jess loved it – it was a success yay! 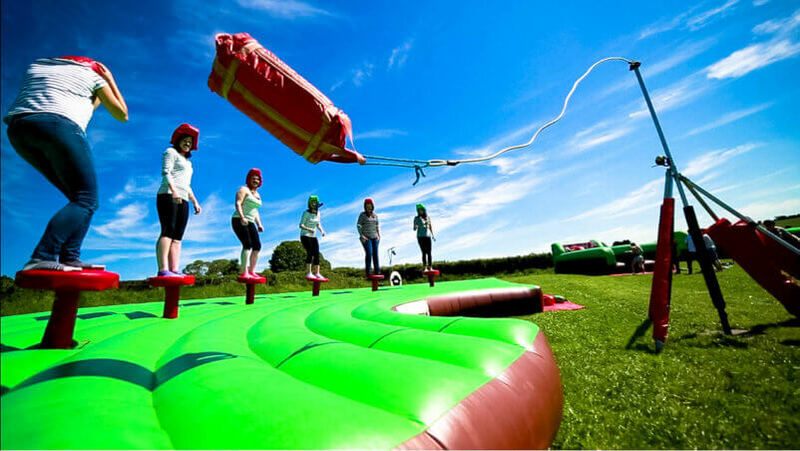 If you’re looking for help planning your hen weekend we have lots of wonderful cottages and activities available in different Uk destinations. We’ve been organising hen, birthday & celebration weekends since we first started business in 2006; each one totally unique. We love to take the hassle out of your organising whilst adding that little bit extra to ensure your weekend is filled with amazing memories. Just get in touch.